Does the long-wheelbase version of this Russian classic still impress? Editor’s Note: No, you can't buy a Lada in the United States. But our colleagues at Motor1.com Germany had an opportunity to drive this interesting SUV and we couldn't resist sharing it with you. Enjoy this First Drive from the Motor1.com Germany team. This is Lada 4x4, a car that could be sold at one of those stores where big-city people buy replica 1950s phones and china light switches for their hip old town apartment. It’s a vehicle for people that say, “They still exist, the good old things.” Since the end of 2017, this good old Russian thing is also available as a five-door. We tested the XL-Lada. ⠀ Will An Old Lada Still Drive With 5 Tons Of Concrete Inside? 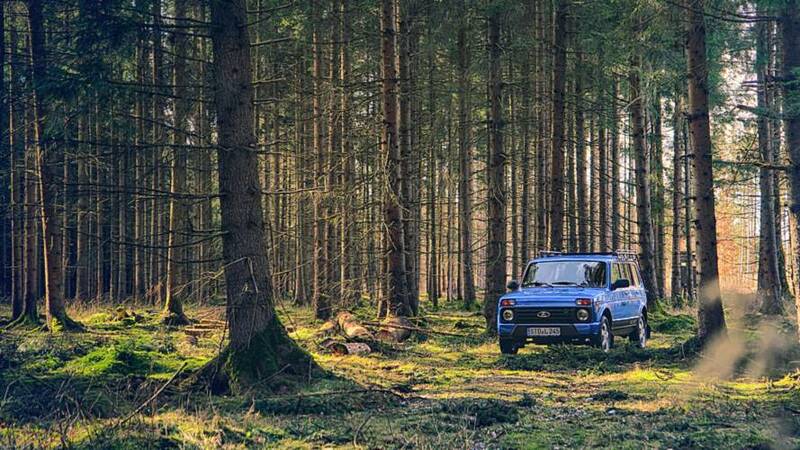 The off-road legend was born as the Niva in 1976 and designed to be strong like bear – sturdiness and capability were necessary to get to the deepest parts of the sprawling Soviet empire. 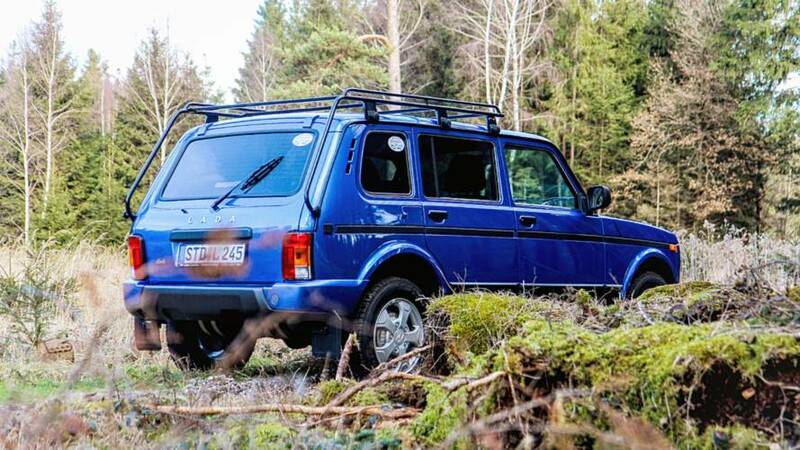 But since 1995 the Niva has been built as a five-door, in Tolyatti, the Detroit of Russia (but with an even colder winter). 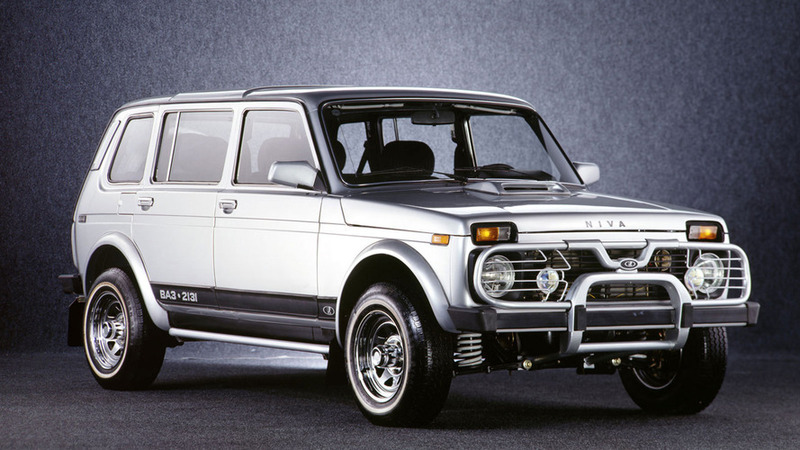 At the end of the 2000s, it was finally robbed of the Niva name and is now simply known as the 4x4. Why the big rename? 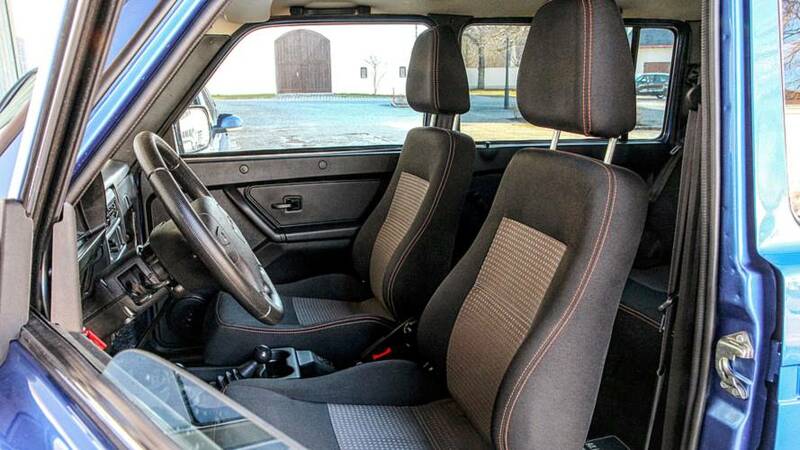 The 4x4 brandishes the essence of the ex-Niva in its name: four-wheel drive. Rough terrain. Mud. Snow. No tricks, pure technique. But even strong, Russian 40-year-olds like the 4x4 are subject to a mid-life crisis, which is why the 4x4 now has a new trim called the "Urban". It’s like a 40-something in skinny jeans. The 4x4 Urban gets electrically adjustable and heated exterior mirrors, 16-inch aluminum wheels, and a pants-scorching heated front seat. And even more important (or worse, depending on the viewpoint): painted plastic bumpers. 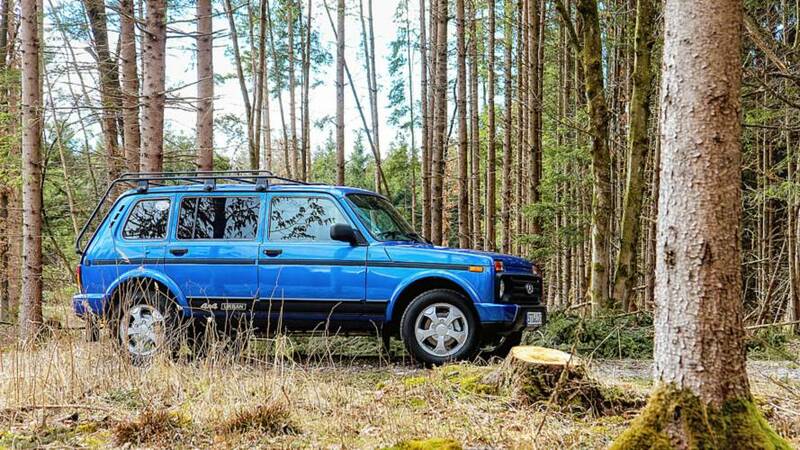 Adding insult to injury, our 4x4 Urban tester wears a flamboyant shade of metallic blue that we’re sure Comrade Brezhnev would have frowned upon had it rolled out of the factory in 1976. 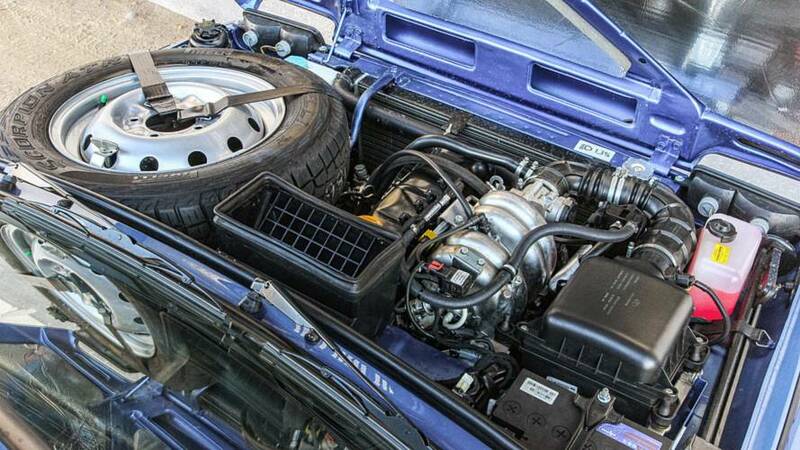 The result of these changes, and the paint, is a Lada that looks unfamiliar. Still, it’s barely larger than a Hyundai Kona. The five-door 4x4 measures 162.4 inches in length, trumping the traditional three-door 4x4 by 19.6 inches. That difference is entirely between the axles, as the wheelbase grows from 86.6 to 106.2 inches. Those 19.6 inches pay off in the second row, which is more comfortable than in the shorter 4x4. Access is better thanks to the rear doors, while trunk space starts from 15.5 cubic feet but expands to 27.5 with the second row folded, leaving plenty of space for firewood, dead animals, or more 1950s rotary phones. Another advantage of the longer wheelbase is a significant improvement in ride comfort. The five-door 4x4 is clearly better in everyday driving than its smaller brother. But the increased size means increased weight – about 280 pounds worth. Tipping the scales at 3,141 pounds, the 4x4 Urban challenges the naturally aspirated 1.7-liter gas engine. The sound of humming, chattering and buzzing makes the tiny four sound stronger than it really is. There’s just 83 horsepower and 95 pound-feet of torque – the five-door 4x4 takes 19 seconds to get to 62 miles per hour, and tops out at a modest 85 mph. 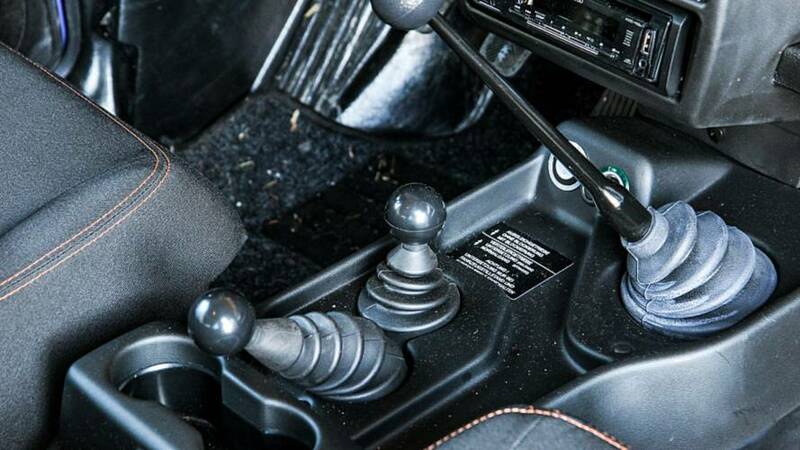 This is clearly a vehicle for folks with Buddha-like patience and classic car fans, who can appreciate the relaxed pace and long throws of the stubborn manual shifter. It’s not even especially thrifty, returning 24.7 US miles per gallon on the European test cycle, a number that can fall to 19.6 mpg in the city – it is Euro 6 compliant, though, so at least it’s clean. That said, the Lada does stick to tradition, with permanent four-wheel drive, a low-range gearbox, and locking differentials. It’s designed for the wild, and its fuel economy reflects that. 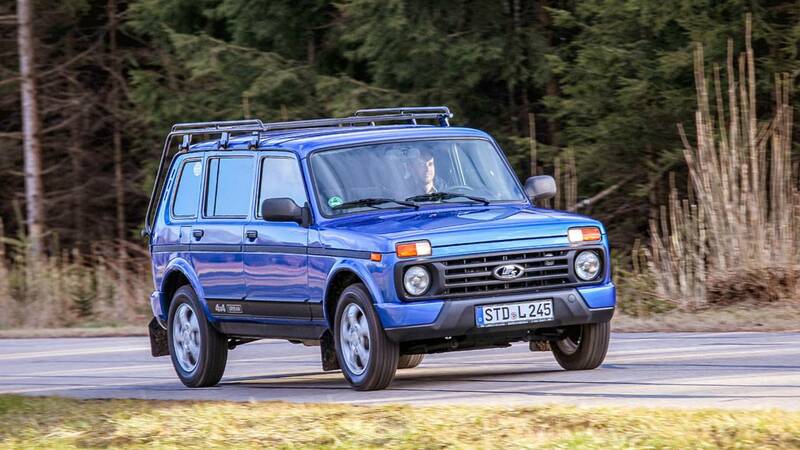 With regard to the price of the Lada 4x4 Urban five-door, once again the question arises: Is it too much given the old and inefficient technology or surprisingly little for such a capable off-road talent? 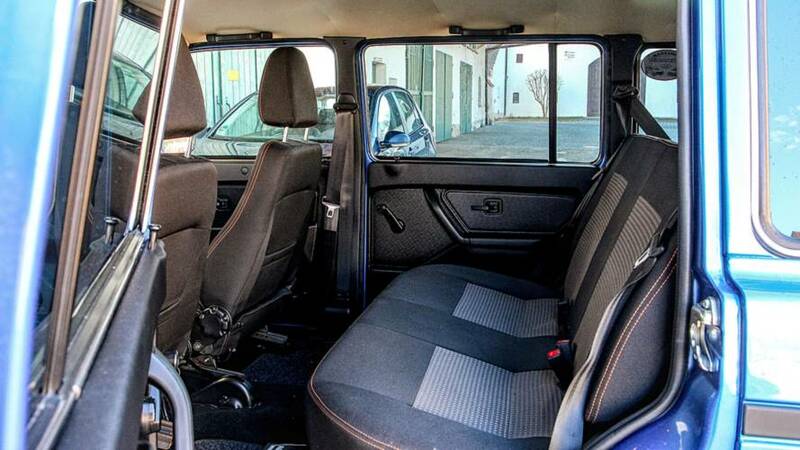 Prices start at 14,290 euros ($16,333 at today’s rates), which is $1,300 more than the three-door. 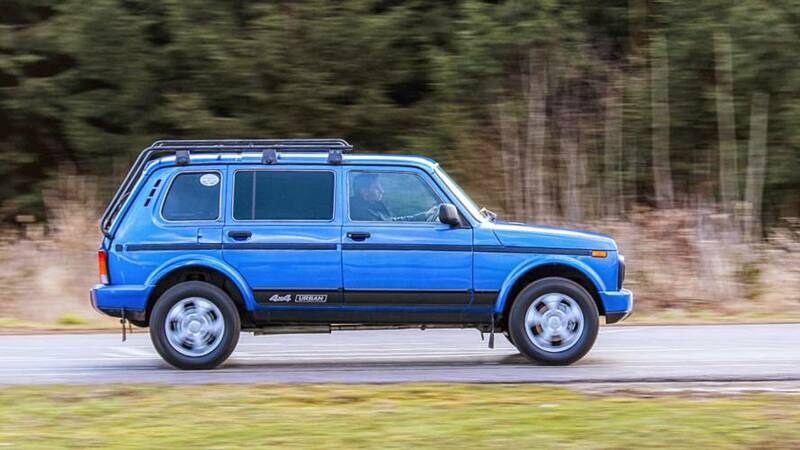 Objectively, the five-door Lada 4x4 Urban should get three out of ten stars. Its engine is too antiquated, and the build quality is too questionable. But we’re giving it an extra two because this Russian possesses in spades what so many new SUVs promise: character and adventure. If you’re only occasionally out in the wilderness, consider the five-door. But if you want to get out in the world and in the mountains, take the three-door, which is even better on the trails thanks to its short wheelbase.